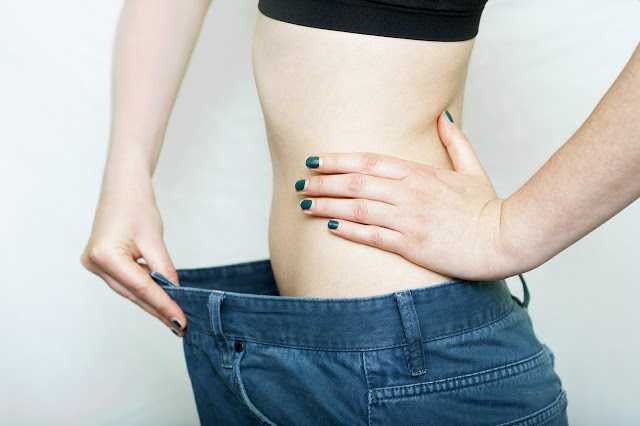 Weight loss means a reduction of the total body mass, loss of fluid, body fat or adipose tissue or lean mass. Weight loss can occur in various ways like unintentionally or intentionally. Unintentionally refers to malnourishment or an underlying disease and intentionally refers to conscious efforts to decrease body weight. If you want your body weight to be reduced with the help of some best food, then you are in the right article. With the help of certain foods, you can achieve desired body weight. Weight-loss diet food items have few things in common, they are rich in fiber that keeps you feeling fuller longer and low energy density which means you can eat an average-sized portion of food without excessing on calories. Here is the list of the most weight-loss-friendly foods that provide you with the desired result. Check them out. Whole eggs are one of the best food items that you can eat to lose weight as they are rich protein and healthy fats. They increase the feeling of fullness and make you less appetite for a long time. Eggs are very rich in nutrients and they can provide you with most of the nutrients you need. Leafy greens have various properties which are perfect for a weight loss diet as they are low in carbohydrates, calories and densed with fiber. They are also very nutritious as many vitamins, antioxidants and minerals are found in them. Some of the leafy greens you can eat like kale, spinach, collards, swiss chards, chard, rocket, collard greens, lettuce, and broccoli. Boiled potatoes have various properties that you can choose as a weight loss diet as they contain a very high amount of potassium which plays an important role in B.P control. Among all the food items the satiety index which indicates filling differents foods boiled potatoes are on top of the list. Avocados contain potassium, phytochemicals, fiber and fatty acids which can lower your body weight. Avocados are rich in calories compared to other fruits and vegetables and their fat and fiber may help you to lower your body weight. Beans contain the very high amount of fiber and they may be your pal if you want to lose weight as they can help you feel fuller longer ultimately controlling your hunger. Beans have also various health benefits like lowering BP, cholesterol and cardiovascular disease. According to a study, it is proved that 1 gram of red chili pepper can reduce your hunger and increase fat burning. Chili peppers contain capsaicin which performs those work for you and capsaicin is even also sold as a commercial weight loss supplements. Coconut oil is very rich in fatty acids and a study shows that these fatty acids have better satiety value than other fats. In another study, it shows that coconut oil reduces belly fat for both man and woman. So you can replace your other cooking oil with coconut oil. Tuna is omega-3 rich fish, low calorie and low in fat. You will probably hear that tuna is very popular among bodybuilders and fitness models. One recommendation is that you should choose tuna canned in water, not oil. One of the best sources of protein is cottage cheese. It is also rich in vitamins, minerals which are very beneficial to your health. Since cottage cheese is high in protein, it digests slowly which makes you feel fuller longer and you may not want to eat for a long time. Apple cider vinegar is very popular among the health enthusiast around the world. It contains all type of benefits which are proved by scientists. It includes lowering your blood sugar. reducing cholesterol and weight loss. Taking apple cider vinegar can increase your feeling of fullness and make you eat less food with around 250 to 275 calories for the whole day. A 12-week long study shows that intake of 15 to 30 ml vinegar per day causes weight loss of 2.7 to 3.8 pounds or 1.3 to 1.8 kilograms. Nuts have an excellent amount of balanced protein, fats, and fiber. A study has shown that nuts can improve your metabolic rate and also helps weight loss. It is advisable that you should consume nuts in restricted diet. Yogurt helps in burning fat and reducing weight loss. Several studies have shown that low-fat yogurt is more effective in losing weight. Here is the best yogurt is Greek yogurt that gives you ultimate results. Grapefruit has tremendous effects on losing weight as it is proved by some studies. Eating half a grapefruit before meals help in reducing weight by 3.5 pounds or 1.6 kg. Whole grains contain fiber and a decent amount of protein which increase your satiety level and metabolic health. Some of the best examples are quinoa, brown rice, and oats. In order to lose weight, you should consult a doctor with proper diet plan with above-listed food items and regular exercise helps you faster to achieve your goal. I hope you enjoy this article. If you like this article you can share it with your friends, family or anyone who wants to lose weight with the help some food items.